“Knocking the Dust Off: A Collection of Desperate Acts to Find a Way Home” is now open at Bing-Davis Memorial Gallery on the Fayette Campus through Friday, Sept. 30. The gallery is open 8 a.m. to 5 p.m. Monday through Friday. 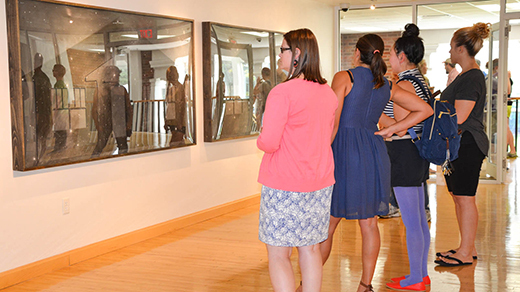 Photos from artist Angela Waseskuk’s discussion and reception on Thursday, Aug. 25, can be viewed on Flickr.